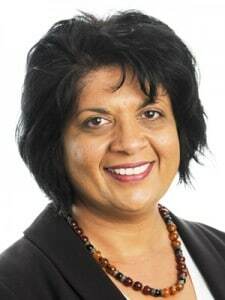 The day-to-day operations of the Press Recognition Panel (PRP) are led by Chief Executive, Susie Uppal. Susie manages the small PRP executive team which delivers the work required to receive and consider applications for recognition from press regulators. Susie is a solicitor by profession. Having moved from private practice where she specialised in commercial litigation, she held a number of high profile and senior operational positions within regulatory bodies including the roles of Director of Legal Enforcement for the Equality and Human Rights Commission, Head of Legal Enforcement for the Gambling Commission and, more recently, Senior Ombudsman at the Office for Legal Complaints. Susie has significant experience in the set up phase of organisations, and in translating policy and strategy into effective operational delivery. As well as her executive roles, Susie was an independent member of the Regulatory Affairs Board of the Law Society and is co-editor of the Blackstone’s’ Guide to the Equality Act 2010.